Your adventure begins over 4000 years ago in Ancient China. Match the Magic Gold tiles and travel through 11 Dynasties, unlocking ancient wisdom on your way to collect the lost Dynasty treasures. 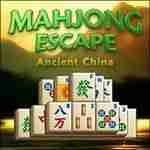 Includes two ways to play: Dynasty Adventure and Classic Mah Jong solitaire. Enjoy over 175 unique levels. Escape today! Te gustó este juego? pero te interesa descargar mas juegos de PC Te invitamos a que pruebes descargar jewel quest curse of the emerald tear, aparte de juegos de otros podrás encontrar muchas más como: juegos de deportes para la PC y siempre disponible en nuestro sitio web de GamesTorrent.